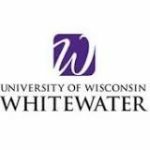 An armed robbery was reported near the UW-Whitewater campus yesterday. The university issued a warning via its website at 3:28pm yesterday afternoon that said “Armed robbery was just reported off campus, suspects may be in route to campus, please be vigilant.”. The suspects are described as two black male suspects, one in a red hoodie. The investigation is ongoing.